Minneapolis’ Home Free, last years winner of the hot NBC Sing-Off show will appear at the Kelowna Community Theatre on March 20. The country vocal quintet won the $100,000 grand prize in an a cappella vocal competition in December of 2013 and earned a recording contract with Sony Music. Their victory on the 4th season of the Sing-Off was by no means the beginnings of a career for the five country stars from Minnesota, but rather a culmination of nearly a decade of hard work and commitment to a vocal craft growing in popularity. 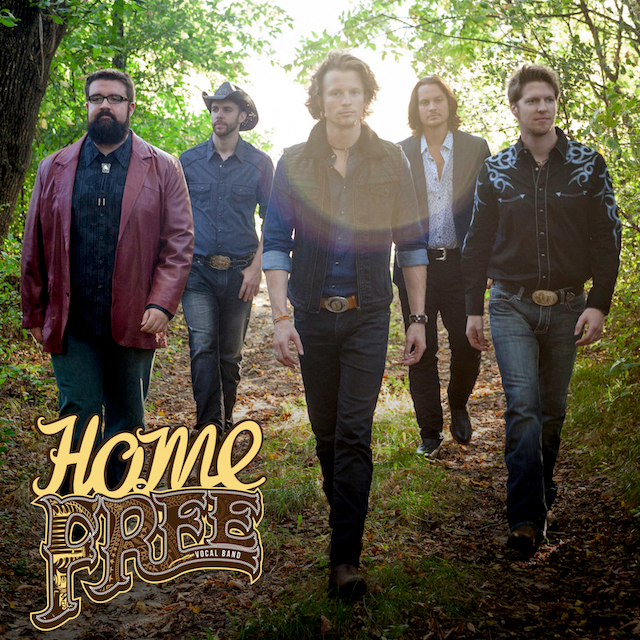 Founded by brothers Chris and Adam Rupp during their college years in the early 2000s, Home Free has been perfecting their live show for years, performing for crowds in countless State and Country Fairs, on college campuses, in Fortune 500 companies, and in sold out theatres all across the country.